The end-of-season playoff event is the showcase LAN for the weekend, and the top 8 teams from the regular season will play single elimination, best of 7 matches to determine who is the best team, and who will win a large chunk of the $250,000 prize pool. We will be updating this post throughout the weekend with scores and brief recaps of each match. You can watch the tournament in its entirety on stream (CLICK HERE). GRAND FINAL: OpTic Gaming v Rise Nation – The top two teams in the regular season of the Call of Duty World League face off to determine who is the best in the game right now. Both teams won their semi final matches 4-0, and both teams look incredibly strong. The map types favor Rise slightly as Strongholds HP is one of their best Hardpoint maps, but overall this is a pretty even matchup. Strongholds Hardpoint– OpTic jump out to a 105-35 lead right off the bat, but Rise worked to get in control of hills and whittle down the score as Loony jumped in with the heatwave and took out three players. OpTic just harried Rise out of the hardpoints, winning 250-201. Despite the score, Rise never looked completely overwhelmed by OpTic. It was focused and careful play by both teams, but OG just outslayed. Breach Search and Destroy– Teams trade for the first two rounds. Third round, great rotation from OpTic leaves them able to pick Rise’ pockets and Crim cleans up 2 for OG to go up 2-1. Moving ahead to the 6th round, and OpTic with a defensive effort by Formal to trap Rise and go up 5-1. Very very quick rounds of S&D here. OpTic ends up winning, 6-2. Fringe Uplink– This was a must win map for Rise, but from the start it doesn’t look good. OpTic just slay out their base and go up 8-1 in the first half. In the second half, Rise began to push out more and try to challenge gunfights, but OpTic was just in cruise control and they win 14-2. At no point during this round did Rise look like any sort of a threat. 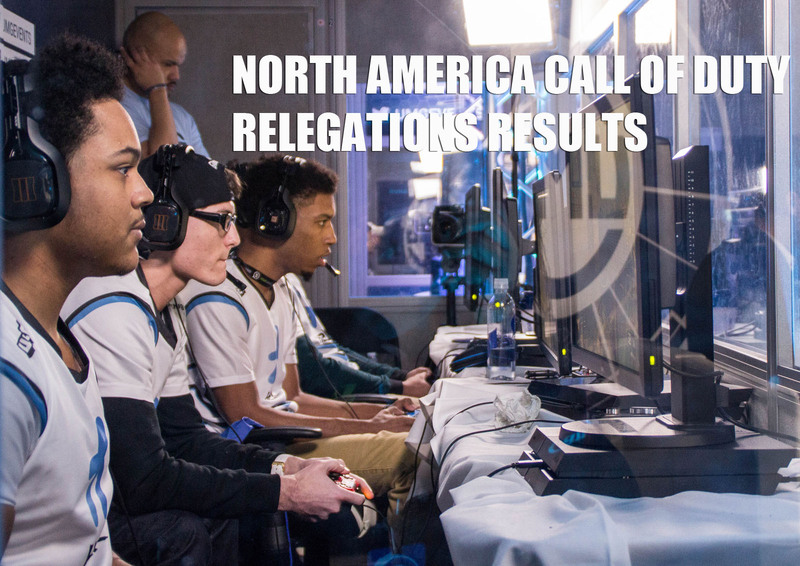 They will need to regain composure on CTF to make this a series. Evac CTF– A lot of defense from both teams, but Rise manage to run in their flag just two seconds left in the first half. It’s a good start for Rise, and they keep up the pressure in the second half, running in a second flag to go up 2-0. Rise win the map 2-1. Could this be the start of a comeback? Hunted Search and Destroy– Rise with another good start here, going up 3-1 in rounds early on. OpTic just somehow fell apart during that map, and Rise won 6-3. The come back is real. Fringe Hardpoint– It looks like Rise is waking up, even on one of OpTic’s best HP maps. They started out a little slow but soon overtook OpTic, leading 84-44. At the halfway mark, Rise was up 125 to 62. 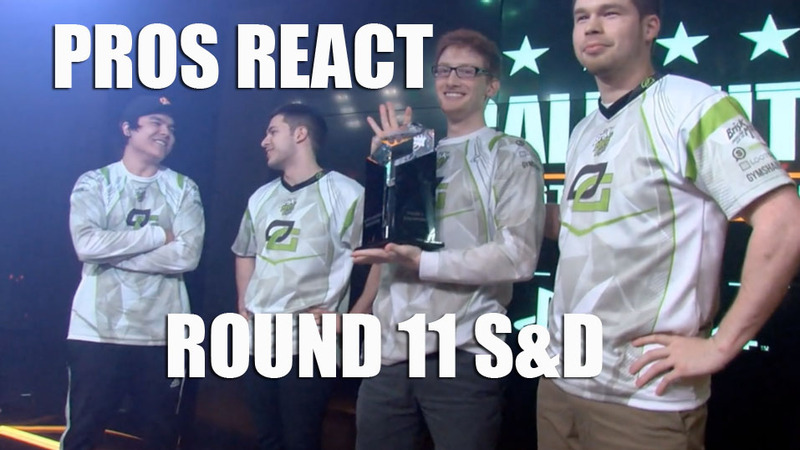 OpTic had to rotate out and outslay their opponents, and they just couldn’t get the job done. Rise win 250 to 187.
and OpTic Gaming are your Stage One CHAMPIONS. 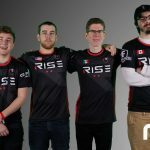 Semifinals: Rise Nation v FaZe Clan – Rise are the only team to have won LAN events in Black Ops III, and staying cool under pressure appears to be what they do best. Applying pressure and coming from behind to win are two of FaZe’s strengths, and they’ll need them to beat this high performing Rise team. FaZe started off very slow- at one point it was 105-5 in Rise Nation’s favor, but FaZe began to make the comeback… just a bit too late. Rise wins map one, 250-219. The Search and Destroy was all Rise, as they continued the tradition set yesterday (7 straight S&Ds were 6-3) and ended up winning the map 6-3. As on commenter on Reddit said, “Rise just look so well rounded“. It is hard to imagine any team beating Rise when they’re playing like this, but FaZe is certainly trying. On Infection Uplink, Rise scored a quick three points, and FaZe eventually answered with two of their own. Octane then began containing FaZe inside their base, not allowing them to get out for a full 90 seconds. FaZe just losing gunfights all around the map. Rise wins 7-2. At this point, FaZe is down but not out- if there’s any team with the mental strength to come back from a 3-0 deficit in an important match- it’s FaZe. That said, a bit of a nightmare start on side 1 for FaZe as Loony gets a kill while running the flag, and captures the flag early. Classic slides in another flag to go up 2-0. The team is simply running up the middle with the flag and seeming scoring at will. Enable and Zooma combined to result in a flag cap for FaZe to keep them alive. Rise on second side was simply dominant. Loony even managed to slide and out run the HC XD, even capping it off by blowing it out of the air at the end. Simply a masterclass from Rise, who win the map 4-2, and the match 4-0. 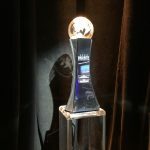 Semifinals: OpTic Gaming v eLevate – OpTic Gaming are the number one seed in the tournament, with some of the best players in the game right now. That said, yesterday they were nearly bounced right back to Chicago by the last seed, TSM. Credit where it’s due, TSM played well above the level we’ve seen them play online throughout the season, but OpTic also played far below the expectations of themselves and the fans. To beat this eLevate team and even have a chance at not getting a swift 4-0 from Rise, OpTic have to improve on yesterday’s performance. As for eLevate, they played well on Saturday, but it’s hard to tell how great they truly are due to Team EnVyUs playing well below expectations. eLevate can prove some doubters wrong with a win here, and if they keep playing as a cohesive unit, they can pull it off. Evac Hardpoint to start, and OpTic look lively, taking the first hill with ease. As mentioned yesterday, Hardpoints are OpTic’s bread and butter, and it’s rare for them to lose one. eLevate kept relatively close to OpTic until the end, but OG took the first map 250 to 149. Moving on to Redwood S&D, one of OG’s best Search maps, but eLevate are one of the best S&D teams in the league, so it wasn’t going to be an easy map for the Greenwall. After OG won the first round quickly, the teams traded rounds. In the end, patient teamwork from OG made the difference in the last two rounds, and OpTic went on to win the map 6-4. Infection Uplink now, and in the League, OpTic regularly ran up the score on uplink gametypes, but this time it’s eLevate who draw first blood with a one point throw. OG answer back quickly, and then began to run away with it, going up 6-1. OG outslaying eLevate left and right, and they just can’t get something going in the middle of the map. eLevate also didn’t appear to have much going in the way of defense, as OpTic take the map 11-1. So now it’s up to eLevate to try to climb out of the 3-0 hole they’re in at the moment. 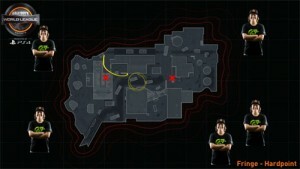 Fringe Capture the Flag is the next map. eLevate got off to a hot start, and Aqua was on fire. At the end of the first half, the score was 1-1. In the second half, OpTic put in another flag, and with 90 seconds left, OpTic was completely streaked out, and slid in their 3rd flag to take the 4-0 series win. Quarterfinals: Rise Nation v Luminosity Gaming – Rise Nation is one of the best teams in the game right now, and LG has been mediocre for much of the first Call of Duty World League season. Luminosity has to work as a cohesive unit and Saints has to slay well on respawn maps to keep up with the teamwork of Rise. At the end of the first rotation, LG did just that- keeping even with Rise by trading kills, but Rise began to pull away on the next rotation thanks to some big kills by Octane to establish an 80 point lead. LG fought back, but the comeback was too tough- Rise wins map one 242 to 207. Second map, Search and Destroy- Rise didn’t look particularly worried, and won the map 6-3. On Breach Uplink, Rise looked completely in control on the first side, but LG showed signs of life on the second side, scoring 5 points in quick succession. Rise managed to close it out and win 10-5. The CTF was a stalemate in regular time, and LG picked up a cap in OT and used excellent defense to hold on for the win. The second Search map was all business for Rise as they win 6-3, and take the first series of the day 4-1. 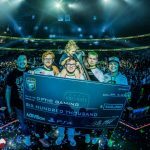 Quarterfinals: OpTic Gaming v Team Solomid – Two large, popular, media-friendly organizations face off in the first round of the playoffs, each with a lot to prove to their fans and the wider Call of Duty competitive community. TSM dropped captain Proofy midseason after he attempted to replace Whea7s and Pacman and even with Ivy as a replacement, they consistently lingered at the bottom of the CWL, only barely making it into the Top 8. OpTic Gaming only lost two matches in the League, and won two out of the three 25k Challenge events, but they have yet to prove their dominance on LAN after a poor showing at UMG South Carolina. OpTic started off hot, going up 100 to 12 early on Fringe Hardpoint. 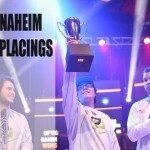 TSM struggled mightily, as OpTic’s squad was going double or triple positive and seemingly killing at will. TSM managed to right the ship, bringing their deficit back within 100 points, but the comeback was just too much to ask for at that point and OpTic won 250-136. Next up, Hunted S&D, and a chance for TSM to get some confidence back after a tough respawn map. TSM looked to cruise to victory while up 4 rounds to two, and after a few quick rounds, they won 6-3 to level the series. It was a surprising win, given that Hunted S&D is OpTic’s best map statistically. Breach Uplink was the next map, and OpTic is 5-0 on this map in the League (according to the stream analyst team of Will Chobra, Courage, and Nadeshot). If Hardpoint is OpTic’s bread and butter, Uplink is their favorite dessert, as they regularly put up big numbers against League teams. Today? Not happening. TSM answered OpTic’s challenges with excellent defense, and went on to win the map 10-7. OpTic looked to get back on track in Stronghold CTF. The two teams were neck and neck in regular time, but in OT OpTic managed to get the flag in, and took the map 3-2. Both Formal and Scump did not look in regular form for OG, which was not good news for the Greenwall heading into Fringe S&D. OpTic looked fragmented, challenging gunfights, getting first blooded, and then losing rounds quickly. TSM looked confident, hyped and smooth, taking an early 3-1 lead. TSM continued to cruise, winning the map 6-3, and they just need to win the HP to send the number one seed home. Evac Hardpoint, and though OpTic looked more comfortable on this map, relying on their usual slaying power, they took it easily. Now on to Stronghold S&D, the final map of the best of 7 series. OpTic start off hot, going 3-0, but excellent flanking work from TSM’s Pacman in the fourth and sixth rounds gets TSM back in it at 4-2. In the end, it looked like all four players for OpTic finally woke up and started making good decisions, and OpTic closed out the map 6-3 and won the series 4-3. TSM played incredibly well, and didn’t look like the team we saw online for weeks- and on the other side, OG looked a shadow of the team we’ve seen online. Their next match is on Sunday against the winner of our next match- eLevate versus EnVy. The next map went EnVy’s way, as they cruised through Hunted S&D and picked up a quick 6-3 win to tie up the series at 1 apiece. Onto uplink, where EnVy look to brush off the previous respawn performance and make a statement. eLevate looked a bit lost on the map, as EnVy went up 9-0 on the first side. eLevate finally got their bearings on the second side thanks to some patient plays by Faccento, but EnVy ended up winning the map 14-11. Next map, Capture the Flag and eLevate looked ready to get back in the match and they made it all look so easy. Fantastic team work from the squad and they took the map 3-0. 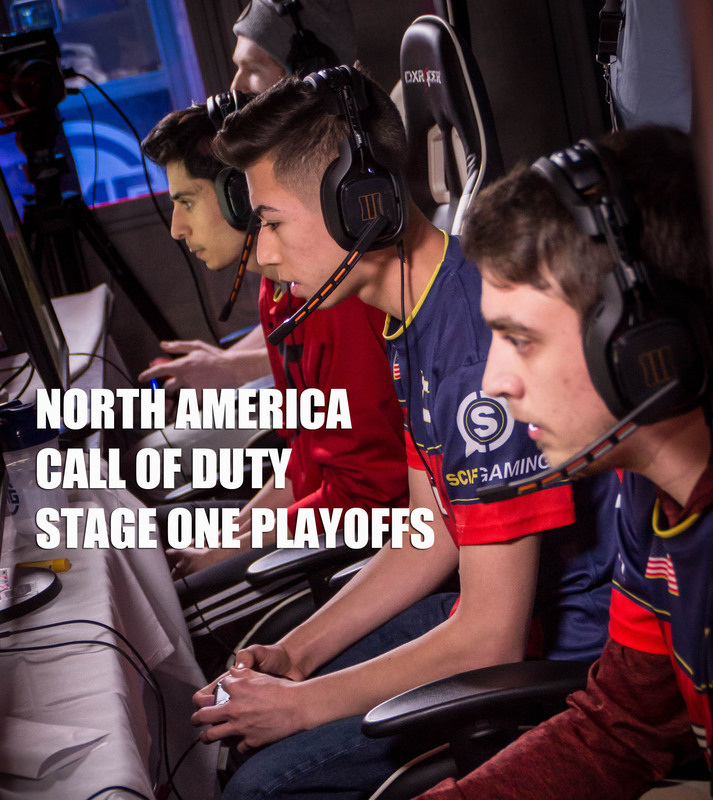 Next up was Search and Destroy, and eLevate didn’t lose much momentum here, as all four players worked well together and Nagafen also produced some exceptional plays. eLevate win the map, 6-3. On the hardpoint map, eLevate closed out the match with the 4-2 win. As EnVy’s TeeP mentioned at the end, there are “internal issues” with the team and he’s not entirely sure how to get confidence back in the team. Quarterfinal: FaZe Clan v compLexity Gaming – This was truly a match that could either result in a blowout win for FaZe, or a careful S&D led victory for coL. Parasite is known for his map awareness and strategies, and all of the players on coL have lots of individual talent, but make small mistakes that sometimes result in losses. 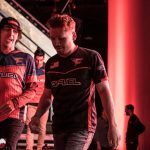 FaZe is not invincible- they had a run of poor form in the CoD World League that saw them drop a bit in the rankings. The first map was a close one- coL pulled away first, but FaZe caught up to them, and the teams just traded the lead back and forth until FaZe was finally able to hold on and win 250 to 213. Moving on the the Search map, coL looked downright scary, as they very quickly established a 4-0 lead. coL lost a round due to a bomb defuse failure by Ricky, a simple yet costly mistake, and then Faze turned around and won the next three rounds. coL seemed to lose composure due to the Round 5 mistake, and Faze took the 6-4 win. FaZe took the Uplink 10-7, and if coL don’t recover soon, they will be taking a flight back home despite showing so much promise. On the CTF map, coL managed to sneak a flag in on the first side and FaZe tied it up with a cap of their own late in the second half. 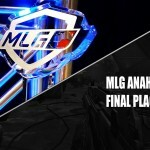 FaZe won the game in OT, and will play Rise Nation in the semi final.